Do you need a more powerful engine on your car or replace a failed one? Transmission 4 less has your car covered! Our team of professionals assists customers every step of the way in identifying their expectations, while providing high quality work at prices that do not empty their pockets! In addition, Transmission 4 less specializes in day to day engine maintenance and repair related problems! 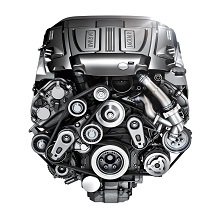 An engine swap occurs when removing a vehicle’s engine and replacing it with another. This process takes place either due to the failure of the existing one, or of the desire to replace it with a most powerful one. Replacing an engine, regardless of reason, with a brand new one is quite expensive for numerous people, so there are other choices that could be taken into account: choose between a re-manufactured or used engine, or repair and rebuild the original one.